This paper presents the cognitive-behavioral hypnotherapy intervention in a case of dog phobia in a 10-year old patient, through the desensitization technique, originally in the imaginary, over several hypnosis sessions, interleaved with self-hypnosis sessions, then in vivo, with exposure to a stray dog in the hospital’s courtyard. To eliminate catastrophic thoughts related to illness caused by a possible dog bite, we used Ellis’ ABC model, applied in 5 sessions of Rational Emotive Behavioral Psychotherapy. We applied the same approach to increase frustration tolerance.To improve sleep quality, we used techniques for the control of breathing, hypnosis and self-hypnosis. The evolution of this case was favorable. Cottraux J. (1990). Les Therapies comportementales cognitives.Ed. Masson, Paris. David D. &McMahon J. (2001) Clinical Strategies in Cognitive-Behavioral Therapy. A Case Analysis. Rom. 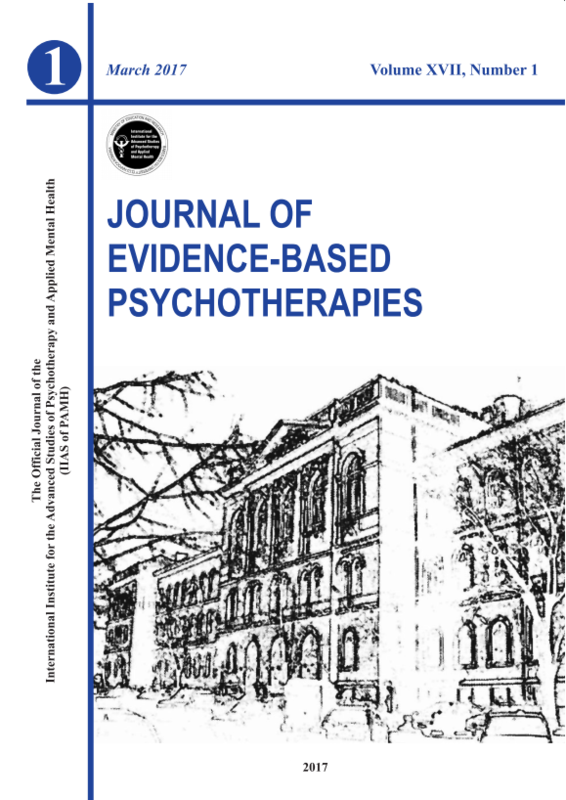 Cognitive and Behavioral J. of psychotherapies, 1, 1, 71-86. Carol. B. Goldberg (2000). Self-hypnosis techniques. Ed. Teora, Bucharest. Goldberg R.J. (2001). Guide of clinical psychiatry. Ed.All Educational, Bucharest. Holdevici I. (1998) .Psychotherapy of anxiety disorders. Ceres, Bucharest. Ladouceur R., Fontaine.O.,& Cottraux J. (1993) .Cognitive et Therapie comportementale. Ed.Masson, Paris, 19-26. Lupu V., (2012) Introduction to hypnotherapy and cognitive behavioral psychotherapy child and adolescent. Ed. ASCR, Cluj-Napoca. Zigmond A.S.& Snaith R.P . (1983) .The Hospital Anxiety and Depression Scale. Acta Psychiatric Scandinavica, 67: 361-370. * * * (1998), The Mental and Behavioral Disorders of Clasification (ICD-10). Clinical descriptions and diagnostic guidelines. WHO. Ed.All Educational, Bucharest.